I just finished reading YEET #20 published by C.O.P. (Comics On Paper). A paper comic published by fans, for fans and supported by donations from fans. This series reminds me of some of the old Fanzines from the 1960s and 70s when fans created their own comics. With fans interest in DC and Marvel not being as high as it once was, new independent publishers are supplying the need for fans. I’ve been a fan for 50 years and for the past few years, I’ve lost the interest I once had and have stopped buying comics until I found a few independent publishers. 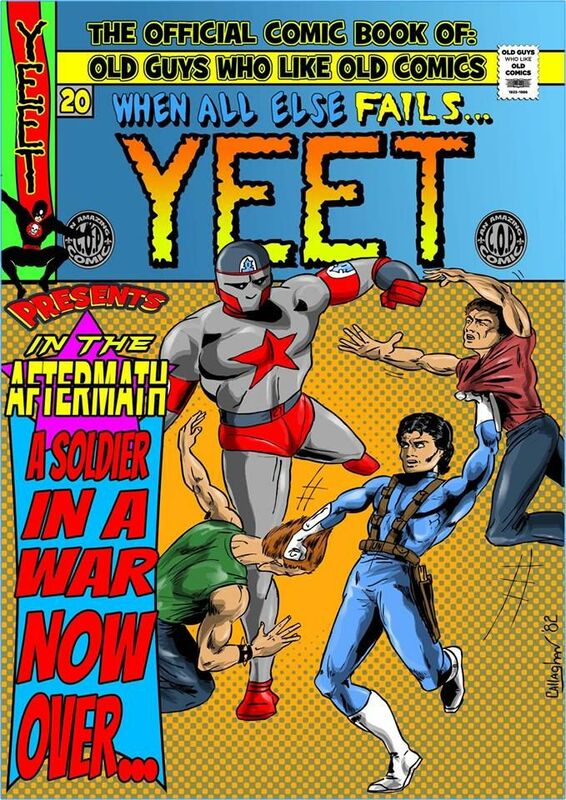 The fun is back and YEET is helping lead the charge. Ric Croxton, Comics and Pulps fan for over 40 years.